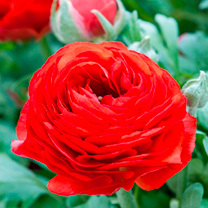 A stunning variety whose vibrant blooms are composed of masses of petals. 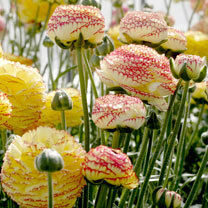 The clump-forming plants perform well in the garden but make excellent cut flowers too! Orange - Flowers May-June. Height 20-30cm. 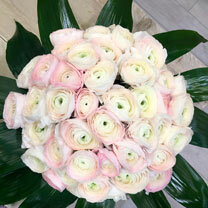 Beautiful ranunculus variety with masses of the palest pink petals. 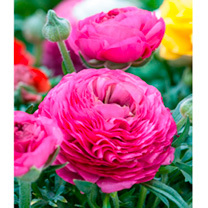 Flowers May-June. Height 20-30cm (8-12"). 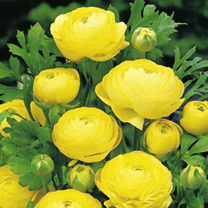 A fabulous new ranunculus variety of this season's must-have plant! 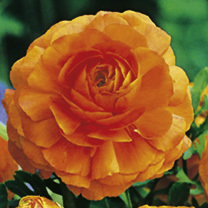 Amazing orange blooms with vivid green centres. Flowers May-June. Height 20-30cm (8-12"). 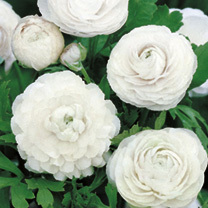 A fabulous new ranunculus variety of this season's must-have plant! 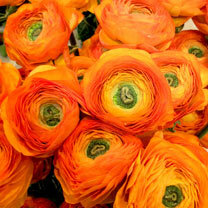 Amazing orange blooms with vivid green centres. Flowers May-June. Height 20-30cm. 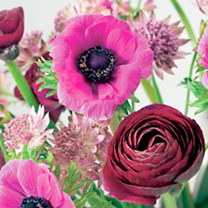 Striking double ranunculus variety in a range of vivid colours, all with unusual emerald green centres. 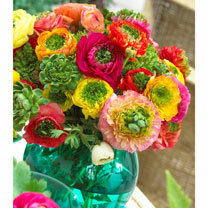 Perfect for flower arrangements. Flowers June-August. Height 30-40cm (12-16").